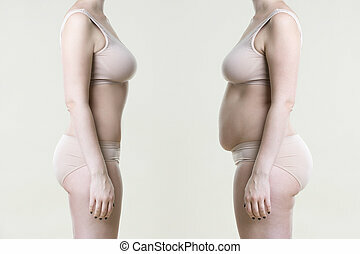 Before and after weight loss. Real before and after shots of 85 pounds or 39 kilos weight loss by a tall middle aged bearded white man, great for health and fitness concept. 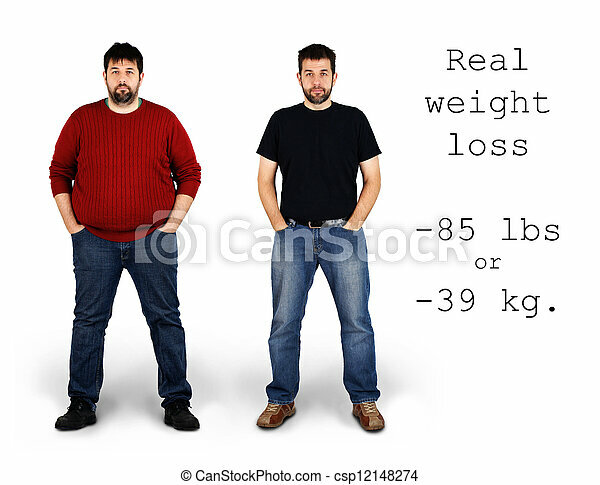 Real before and after shots of 85 pounds or 39 kilos weight loss by a tall middle aged bearded white man, great for health and fitness concept. 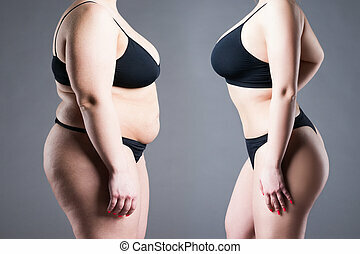 Woman with measuring tape before and after weight loss. Isolated on white.